As an editor, I would not send a writer into the world ignorant, nor would I do all the work for him, depriving him of self-respect and self-reliance, of the power to learn, to improve, and to correct himself. Most of the inquiries I receive for editing are followed by requests for free services or for writing advice. A good number of those requests are for manuscripts not yet ready for editing. But then there are some, such as the one received in February this year from a new writer for whom English is a second language. He prefers graphic novels over prose novels, and feels as if his head will explode if he reads more than a few pages at a time. And yet he wants to be a writer. Congratulations on writing a book! Since you asked for advice, allow me to be honest. I am concerned you’re not a reader, because one of the keys to good writing is good reading. I write fantasy and science fiction most of the time, but my reading is wide: histories, biographies, mysteries, classics, poetry, and more. If all I read were other fantasy and science fiction novels, I might be tempted to imitate those stories rather than writing my own. Reading widely helps me to come up with fresh ideas for my work and fresh approaches to storytelling. So, my first suggestion: Start reading. Read wisely. Read much. Second suggestion: If you have not already done so, print out the entire manuscript so you have a copy you can hold. Then, as you revise the book, cut it up and rearrange it. Spread the pieces of paper out on a table or a counter or even on the floor, and then tape them back together as you see the order / the shape of the book. Whatever scenes or parts you decide to omit, set them aside in a folder or paperclip them together (you might need them later). The stuff you intend to keep, tape those paragraphs back together. Why do this with actual paper, tape, and scissors, instead of doing it digitally on the computer? Because it helps you see your work differently. In fact, your brain will process the information differently while you handle the physical objects instead of merely reading the words on the screen. Once you have the manuscript cut-and-taped back together, the next step begins. Open a new document on your computer, and start typing the story in its new form. You may see scenes that need to be expanded, details that can be omitted, holes in the plot, and more. Then, after the manuscript has been revised and retyped, now’s the time to find at least one trusted reader, but no more than five readers, who will read the entire manuscript and give you honest feedback. Be willing to accept their criticism. Consider what they say. If their responses are too vague (“I like it” or “it’s boring”, but without any useful details), then ask questions until the readers can give you specific answers (“I don’t like the plot because_____” or “The middle part is boring because _______”). Honestly consider what they say, and determine whether or not it will be useful to your work. Then, revise the manuscript again. At this point, the book should be ready for other eyes. Go ahead and find a new batch of trusted readers, make any further revisions you deem necessary, and then search for an editor. All through the process, be reading. Study the structures of other novels, the order of short stories anthologies, and so on. This will help your writing in more ways than I can name. Writing is hard work, but it can be rewarding in many ways. It can stab at your pride, but it can transform you, too. No one will care about your work as much as you do. Know that truth. Accept it, and don’t be upset when other people aren’t as nice as you’d like them to be when they offer opinions about your writing or your storytelling. Allow them to be honest. It is the ultimate kindness they can offer, and it will help you grow as a writer. My best wishes in your endeavors, and I hope to hear good news about you in the future. As a young writer — still a teenager — my pride was wounded when I encountered a writer who offered criticism alongside her praise. I thought I was better than I was, and she showed that I still had a long way to go. A similar sting may have accompanied my advice to this writer. He never replied. Perhaps he didn’t actually read the message. I can only hope he reads widely and sharpens his craft. I am interested in writing teen fiction light novels. The genre I would like to work with is fantasy, adventure, and space. What does it take to become a fiction writer? What steps did you take? and How did you accomplish your work? I am still working on my fiction story. I created a link [omitted]. Just to get a head start. Welcome to the land of stories! We writers are an odd bunch, living so often as we do in worlds of myth and make-believe. How does one become a writer? One writes. Like all crafts, writing takes time and practice. Often, the first book written will not be the first book published. Many writers have manuscripts that will never see publication, because those were their practice books. Maybe book three or book five is the one finally published, the one readers might think is the author’s first book ever. 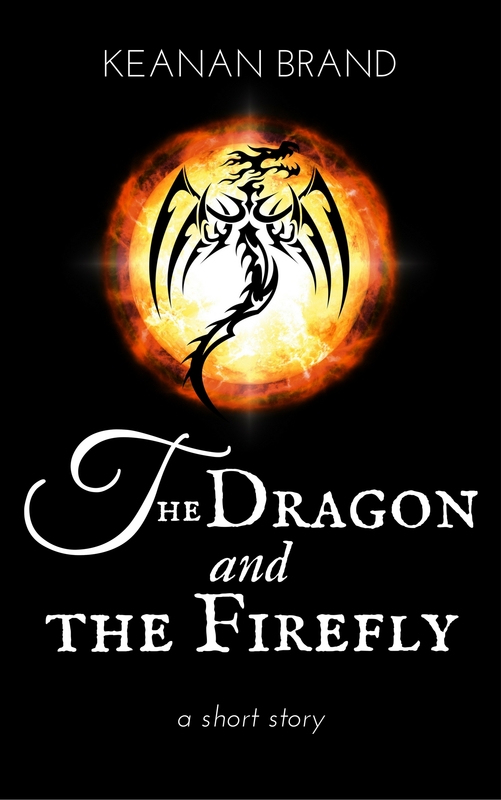 Dragon’s Rook took twenty years from concept to publication. Most writers don’t take that long. I was busy making a living while writing short stories and poems, submitting them to contests or magazines, and then — at long last — finishing a novel. However, there are many unfinished novels. Some I threw away, because the time to write them had long past. Some I kept, because I still have a passion to complete them. I can’t give you any rules or checklists to guide your journey. It’s unique to you. However, all writers become writers by — drum roll, please! — writing. Learn all you can about constructing compelling storylines, creating intriguing characters, writing dynamic dialogue, and even learn proper grammar and sentence construction. Good paragraphs are structured like good jokes: not that they are all funny, but that they build toward a strong ending. Write a strong sentence, write a strong paragraph, write a strong scene. Repeat until you have a chapter, until you have another chapter, until you finally have a book. Avoid cliched phrases or trite characters. Avoid lazy writing. There may be only a limited number of stories in the world, but find a way to tell your story in a fresh way. Be open to constructive criticism. Not nasty put-downs, but honest feedback meant to help your work improve. Be humble and teachable. Be ready to stand up for your story choices, if necessary, but also be ready to consider other options. Be willing to look at the story honestly, and to see its flaws as well as its strengths. I wish you all the best on your journey, and I hope to hear good things about you in the future. Any other advice you’d give a young writer? Took this shot with a 1:1 lens at sunset in December, and we were losing light fast, so settings for one shot weren’t accurate for the next shot. Still, I like this image. It’s been brightened and sharpened and filtered, and remains imperfect, but it evokes other images. If this were a book cover, what kind of story would it contain? This blog may be called Adventures in Fiction, but how ’bout some real-life manufactured drama? For a little over a year now, I’ve decreased my freelance work and returned to a ‘real’ job: stocking freight for the local unit of a nationwide store chain. Stocking freight may seem menial after the other jobs on my resume, but it was my first choice when I applied. First, it would keep me active and not standing in place, as a cashier must do. Second, it would force me to exercise, which editing and writing do not necessarily encourage, as one spends hours before a computer or a narrow-lined notebook. Third, it would be good physical therapy as I continued to recover from injuries (and avoided doing the actual therapeutic exercises, because they hurt). Fourth, it would limit my interaction with the public—although, to my horror, there is still altogether too much of that. And, fifth, it would provide the extra income whenever income lagged from royalties or freelance jobs. Now you know why I was there. So, where’s the drama? My team and the overnight team are both short of members; thus, some of us stayed a few hours late to finish freight so the other team wouldn’t have to scramble to take up our slack. Some time around 1 a.m., a woman and her young daughter were looking at handsoaps, but my cart was partially blocking one shelf. I moved the cart back toward me, and opened a box. “I’m sorry, I’m sorry,” said the woman. The woman said something to her daughter, and then continued with “I’m sorry. I’m so sorry. You don’t have to be upset about it,” and more comments in that vein, as if she were arguing with someone. Then I realized those apologies and offended remarks were directed at me, and she was working herself into tempest. Not knowing if anything I said to mitigate the situation would actually escalate it, I kept silent. Do not engage. Do NOT engage. She and her daughter moved on, and I thought they were gone, but they soon showed up on the next aisle I prepared to stock. Then her husband arrived, and they had a low-voiced conversation while I and my teammate exchanged status reports and moved on to our last cart of freight. We returned to separate aisles. I opened a few boxes. The husband walked past, muttering. I caught “…rude, m_____-f_____ing…” and again didn’t realize immediately the words were directed at me until he was already several aisles away. My teammate stepped out into the main aisle and looked at me. I said quietly, “Some people are offended all by themselves,” and returned to my cart. “What was that?” the man roared. I stepped back into view as he strode toward us, one fist raised, and I stared at him. And then we went about our tasks. He had nothing to do but drop his hand and go about his business. My thoughts: Wow. What a way to defend your wife’s honor. Mutter a few obscenities in a passive-aggressive walk-by cursing. Yeah. You da man. Later, when the teammate and I told our supervisor about the incident, he shrugged it off—the customers’ offense, not the aggression—and told us to alert management whenever we feel threatened. In the moment, however, all I considered was the ridiculousness of the situation and that I was too far away to step between the angry man and my teammate, should he choose to swing at her. Thank God he backed down in the face of our calm, ‘clueless’ response. That’s the second time in about a month that people have worked themselves up into an offended frenzy over what they imagine to be my offense. What must they have imagined about me? About themselves? And why was anger and offense their go-to reaction? Struggling to complete this scene. I’ve already composed the first paragraphs of a scene that comes later, involving these characters, but am not sure how to proceed with this fight scene. It should be intense, I think, but witty. Perhaps I am asking too much of it. From the Plains rose a smudge of green that grew or shrank depending on the swell of the land as they travelled. Days later, it revealed itself as trees, and in two more days, the trees revealed their size, giants standing arm-in-arm. Gaerbith nudged his horse up the slope and joined her. Thick limbs intertwined, and massive trunks were separated only by the shadows between them. Somewhere beyond them light flashed, perhaps sun reflecting from the glass observatory built by King Meresh in long ages past. How had it survived the war and all the centuries after? By nightfall, they rested in a hollow among the tangled roots of the guardians. Fallen branches provided enough fuel for a fire in a small pit dug where the Plains sidled up to the trees, and a tiny brook trickled out from the shadows as if it had been awaiting their arrival before springing up from the ground. Gaerbith and Yanámari sipped handfuls from the rill spilling over tumbled stones, and the horses drank from the little pool it formed before disappearing into the tall, waving grass. Animals shuffled and snuffled somewhere beyond the Guardians—familiar night noises—but when a sudden silence fell, both horses lifted their heads, chins dripping, and pointed noses and ears toward the darkness. A faint shrr of cloth against cloth sounded a moment before the quiet firmness of a careful footfall. A thick staff flew from the shadows. Gaerbith caught it more by instinct than sight. The connection between these two guys is a minor plot twist — revealed to the reader earlier in the story, but not yet known to Kieran. And, at this moment, not known to either guy, because Gaerbith does not yet know it’s Kieran who is challenging him. This morning, shortly before waking, I had a long and detailed dream about my old job. There were new faces and new ideas, and none of the rookies seemed unsettled to see me, but started telling me what was going on, whose idea was whose, what worked, what didn’t, and why. However, before I could meet the new employees or reach the new workspace (a shiny new and bright concession stand, one of many places I oversaw in the old job), I had to pass people with whom I used to work. They didn’t greet me or smile, but immediately began complaining about my absence. They were sarcastic, passive-aggressive, unhappy. When I tried to leave that little conclave of depression and blame, they followed me, still complaining, still muttering. None of them, however, set foot into the bright, new workspace. I turned around from admiring the new setup and speaking with the smart, young assistant manager, and looked out the open door to where the conclave gathered in the dark. They shot ugly looks, quieted but never stopped muttering. That’s also when I was reminded that 1) those burdens are no longer mine to bear, and 2) vision and gratitude turn on the lights. Most of my social media connections know what I think about racism, the pernicious, persistent misnomer that’s not about race — we’re all the human race, there is no other — and all about skin color and ethnicity: Racism ends when we let it end. When skin color and ethnic origins are simply allowed to be, without the assumption or the weight of something ugly attached. I don’t tend to make ethnicity a big deal in my stories. People are who they are, who they decide to be, who their actions lead them to become, and sometimes their origins have an impact on that. “The Deer Place“, however, directly addresses racism, and mixes elements from family lore and my father’s childhood. He recalls being called a “dirty Indian” and other names when he was young. He also had a special place on the mountain where he met the deer, and one day he discovered where they went. There is a cult of ignorance, and there has always been. The strain of anti-intellectualism has been a constant thread winding its way through our political and cultural life, nurtured by the false notion that democracy means that ‘my ignorance is just as good as your knowledge’. Usually, I let the meme pass without comment. Unfortunately, democracy is made up of flawed human beings of varying perspectives, values, and educations. One trauma, one triumph, one challenge, one loss, one gain, one ________ can change our view of the world and of ourselves. We — an all-encompassing “we” — need not assume that someone’s disagreement with our point of view means they are the ignorant one in the conversation. Regardless of where we stand on certain issues, we too often think we stand above those with whom we do not agree. That, I think, is one main reason there are such gaping chasms between groups in this country. Are only those with whom we agree worthy of courtesy? Are only those we deem our intellectual equals worthy of our respect? Are only those we consider morally correct worthy of being treated with decency? We tend to assume we’re the ones with the whole truth, and often do not consider we might be mistaken. On the other hand, there is absolute truth, and if we have no strength of conviction, we’ll never stand for anything. There’s a time to hear and understand other points of view, even if we never change our own stance. There’s a time to examine ourselves and explore other ideas, and then decide whether or not we need to adjust or to remain firm. Simply because others disagree does not mean we double-down, speak louder, or become aggressive in trying to change their minds. Maybe we’re the ones who are wrong. Maybe, in our ignorance, we overlook their intelligence. 53000 / 120000 words. 44% done!